Instagram-favorite beauty brand Glossier is heading to Chicago for its next retail experience. The brand announced its plans on Instagram and Twitter, promising a "temporary offline experience." On its website, Glossier explained the Chicago location will be "Like the Glossier Showroom, but in your hometown." 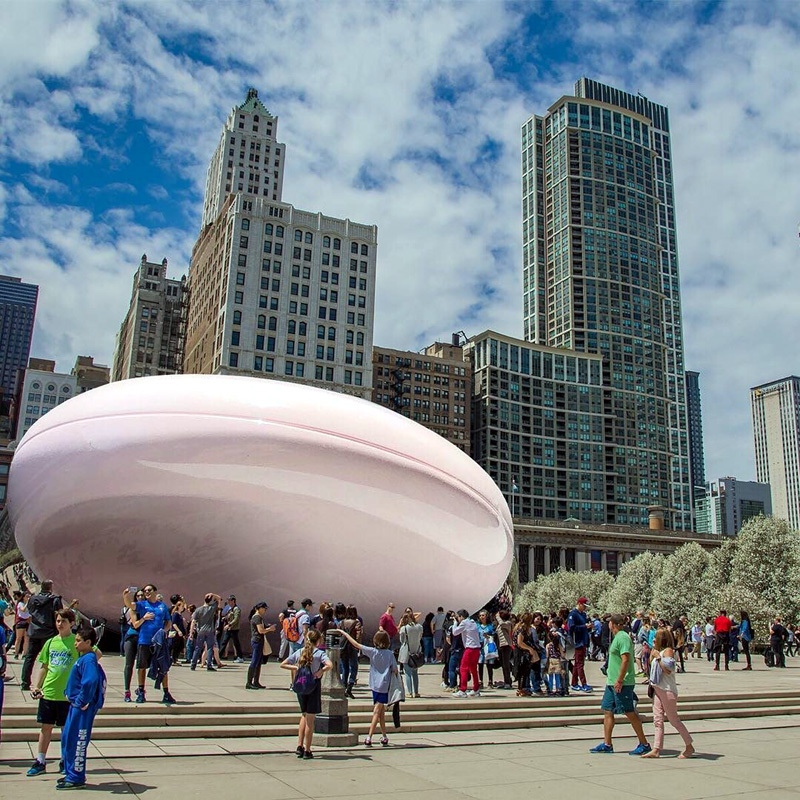 The image teasing the pop-up showed Glossier's You fragrance superimposed over the famous Cloud Gate sculpture (aka The Bean) in Chicago. While Glossier got its start online in 2014, the cult beauty brand has been concentrating on expanding its physical footprint more recently. Having opened an NY Showroom in 2016, the brand inaugurated its first permanent West Coast location in LA on Melrose last month. Glossier's Chicago pop-up follows previous temp stores in London and Toronto. In March it opened a pop-up in San Francisco at Rhea's Cafe, which, according to a Forbes report, sold a product every 20 seconds. Founder Emily Weiss has been previously quoted saying the brand's permanent NY location outperforms Apple stores in dollar sales per square foot. Glossier's expansion is backed by $52 million raised in a round of Series C funding completed in February. Glossier has not yet disclosed the location of the Chicago pop-up but is telling customers on Twitter that it will "be able to share more details soon."